Communication is the greatest skill a leader can have. 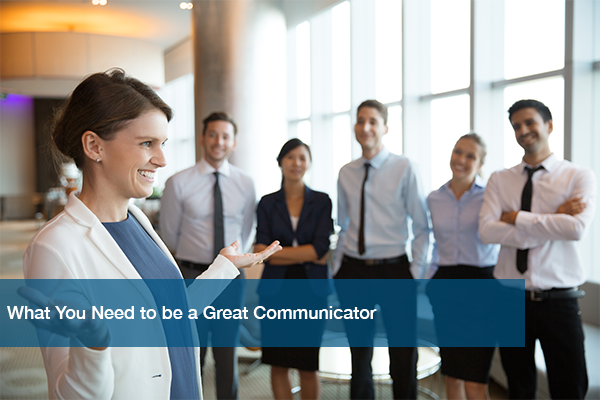 Being an effective communicator keeps your business running and growing smoothly. It also determines your strength as a leader. If you can’t articulate your ideas and plans or stay in the loop with your team, you will struggle. There are countless ways to improve your communication. Take a look at our post, 3 Ways Your Team Can Improve Communication Today for some ways to do that internally. But when it comes to you as an individual, there are three key points to great communication. What you say should make sense. More than that, it should appeal to others’ sense of reason. You have a reason for everything you do. This should be connected to your business’s ‘why’, its purpose. Check out our previous post, How Strategy and Communication Lead to Growth and Success for more on merging your ‘why’ with good communication to jumpstart your business’s growth. But having a reason isn’t enough when you’re a part of a team. If you can’t clearly express the thinking behind a decision, you’ll leave your team confused. The last thing a business needs is a team out of sync. People trust and listen to those who have proven themselves. Whether it’s your technical expertise or a long history of treating others with respect, establish your credibility with your team. You need to demonstrate why you are trusted to hold authority. This doesn’t have to be any kind of power-play. Stay knowledgeable about your field and maintain integrity as a leader. These simple acts will prove again and again that you are trust-worthy. Creating emotional connections is critical to finding and keep top talent within your business. Treat people, be they a client, vendor, or employee, with the upmost respect. Take an interest in your team’s professional development. Be excited about your business. This kind of behavior will have a greater influence on your team’s perception of your skills as a communicator than all the degrees and credentials in the world. Your business needs good communication. But so do you as a leader. Keep these three key points in mind when you’re interacting with your team, and you’ll see vast improvement in your communications with them. If you’re looking for an IT partner that values communication, check out our page, Why Choose ITC?. See how ITC has proven itself to other small business and get your FREE IT analysis today!